Celebrate Mother’s Day with Beauty and the Beast! The Beauty and the Beast movie might be fading from theaters, but that doesn’t mean you have to wait months to get your fix from the DVD. The Beauty and the Beast soundtrack from Walt Disney Records will make you feel as if you’re experiencing the movie all over again. 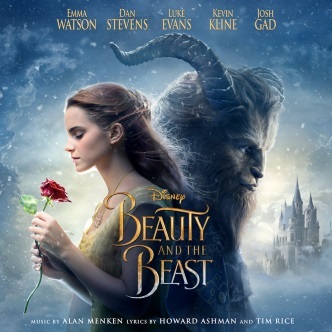 The soundtrack has a variety of music, including the Beauty and the Beasts classics such as Tale as old as time. However, it also has instrumental music, narrative from the movie, and original songs from the live-action version sung by your favorite actors. Pop it into the car, or listen around the house and you’ll feel as if you’re experiencing the movie all over again. It’s sure to become a sing-along favorite. There are a couple ways you can own a copy…..
Keep on reading and enter to win in our giveaway below. Head over to iTunes where the Beauty and the Beast soundtrack will be on sale for $7.99 starting May 12th through May18th. Disney Music fans should also take a minute and visit the “Moms” playlist on the Disney curator profile on Apple Music: http://disneymusic.co/MothersDayA! M .
Fall is on it’s way and the parks are decked out in their fall colors. What are you dressing up as this season? How about winning some Disney treats to add to your Halloween celebration. 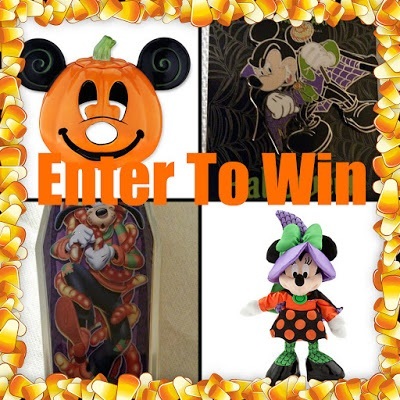 Winner will receive a Disney Store Mickey Votive, Disney Store Minnie Mouse Plush stuffed animal, Disney Parks exclusive Mickey Vampire Pin & Goofy candy! Many of you entered, but we could only have one winner. 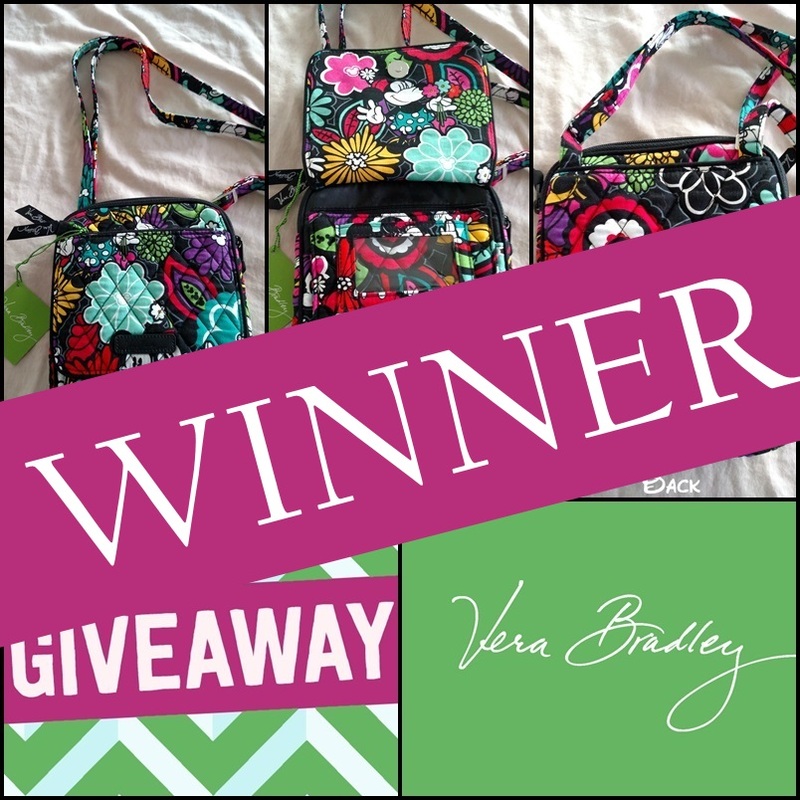 It is with greatest pleasure that I announce our winner Karen M. Karen was notified by email and has responded to accept the beautiful Vera Bradley Mini Hipster bag. We will get that in the mail for her today, but if you didn’t win there are more opportunities coming your way. We board the Disney Fantasy this Saturday, which means we will have something to giveaway when we return :). Please be sure you are following us on Social Media (links below) – as we will enter anyone who comments/shares/likes/retweets any of our Disney Cruise Posts. So be sure you are following along and letting us know you are there. Congratulations again to Karen our latest Giveaway Winner!!! We love our fans, on our recent trips we have given a few things away. We made a quick trip this past weekend to catch the Main Street Electrical Light Parade before it heads out to Disneyland after October 9th. Here is a link to our video if you missed our live feed. 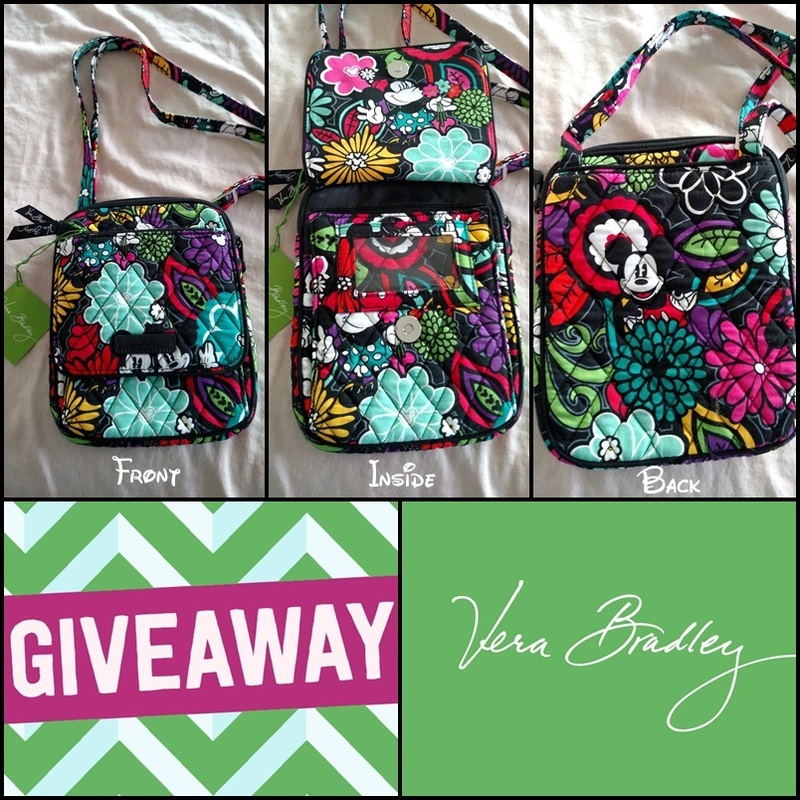 As we walked through the stores the Vera Bradley collection looked amazing, so here we are giving one away. Just follow the instructions below to enter and good luck!! The Vera Bradley’s Mickey’s Magical Blooms Mini Hipster Bag. There are lots of pockets, an adjustable crossbody strap and zippered closure. Perfect to hold all the necessities as you visit the parks. See pictures of the purse in the image at the top of this post. This giveaway dates are Friday Sept 2, 2016 – Sunday Sept 11, 2016. Winner will be chosen by Rafflecopter after verification of entries, and then notified via email. To officially accept the prize, the winner must respond by email within 48 hours. Make SURE to include a valid email address that you check regularly. The giveaway is open to residents of the Continental United States only, except where prohibited by law, and you must be 18 years of age or older to participate. The lucky winner will be announced on DisneyDayByDay after they have accepted their prize. 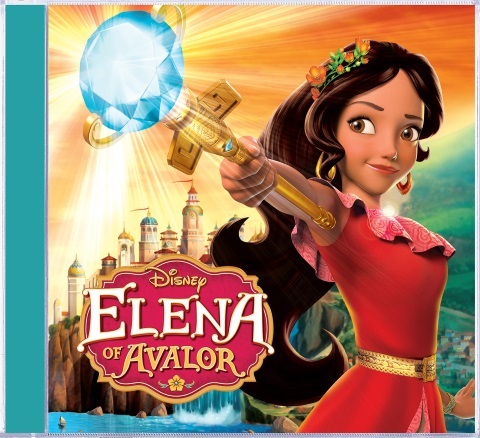 Elena of Avalor Soundtrack GIVEAWAY! Win your own copy – enter at the end of this post…. Walt Disney Records announces the Elena of Avalor soundtrack EP available July 22. The EP features 7 songs from the highly anticipated Disney Channel animated series “Elena of Avalor” which premieres July 22 (7:00-8:00 p.m., EDT). The theme song “Elena of Avalor” is performed by Gaby Moreno and Elena’s anthem “My Time” is performed by Aimee Carrero, the voice of Princess Elena. The music team for “Elena of Avalor” consists of series creator/executive producer Craig Gerber, songwriter/music director John Kavanaugh (who are also the Emmy Award-winning songwriting team behind Disney’s “Sofia the First”), Emmy Award-nominated composer Tony Morales (“Hatfields & McCoys”) and acclaimed touring musician and Latin music instructor Rene Camacho who serves as Latin music consultant. Elena of Avalor soundtrack EP will be released July 22nd and available at iTunes http://smarturl.it/eoast1, Amazon http://smarturl.it/eoastam1, streaming services http://smarturl.it/eoastws1 and wherever music is sold. For more information on Walt Disney Records’ releases, like us on Facebook.com/disneymusic or follow us at Twitter.com/disneymusic. Finding Dory was released over the weekend and what a great movie. Did you see it? If not be sure to add it to your plans today. To help add some fun to your summer, we have teamed up with some of our friends to offer this fun giveaway. To celebrate the movie, Build A Bear has a Dory and Nemo that you can build. Be sure to enter the giveaway below. One lucky winner is going to win a $25 Build A Bear gift card so you or your child can create an adorable Dory or Nemo! (Or any other Build A Bear friend of your choice). 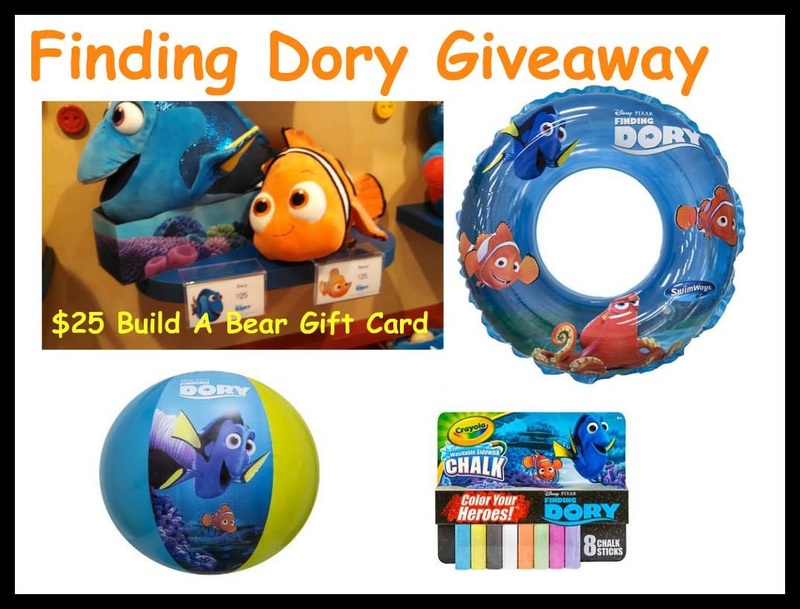 Winner will also receive a Finding Dory prize pack that includes Finding Dory goodies sure to bring a smile to your child’s face!